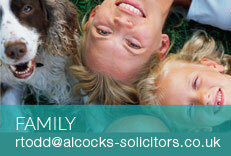 Alcocks solicitors has been providing legal advice to individuals and businesses in the East Midlands since 1890. We have a proven track record of achieving the right outcomes for our clients across the broad range of legal areas that we cover. 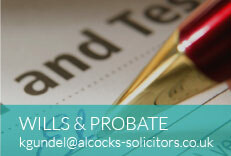 Authorised and regulated by the Solicitors Regulation Authority No. 638279. 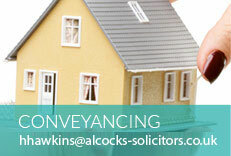 Alcocks Solicitors is a trading name of Harriet Hawkins Limited, company registration number 07007792.